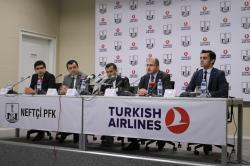 Turkish Airlines, flying to the more countries and international destinations than any other airline in the world, has signed a brand collaboration agreement with Neftchi Professional Football Club, a deep-rooted football club of Azerbaijan, within a special signing ceremony held at Baku Olympic Stadium. 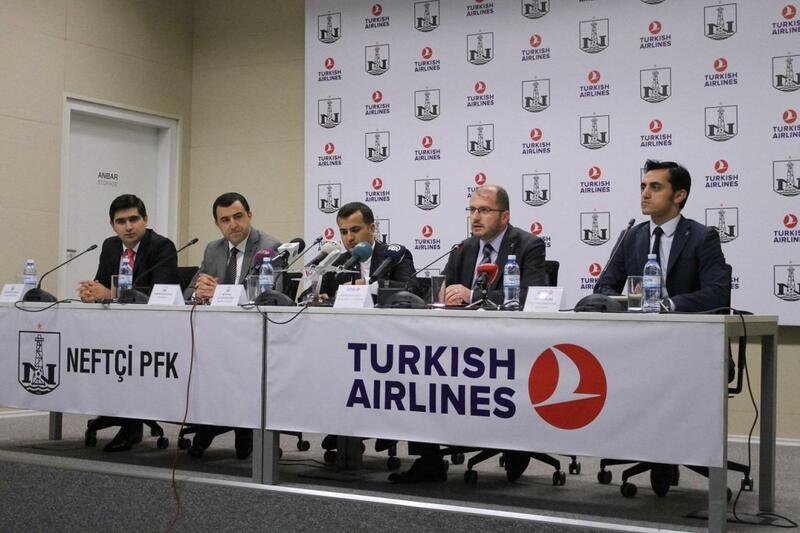 The agreement with Turkish Airlines marks first global sponsorship for Neftchi and overall any other Azerbaijani football club. 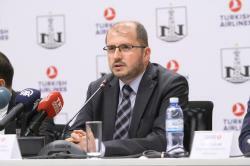 It also remarks Turkish Airlines' support to the promising future of Neftchi and to the young generation of Azerbaijan who interest in professional football. This collaboration will bring mutual benefits to both sides, as according to the signed agreement. 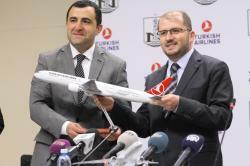 According to this partnership, Neftchi players will wear their uniforms with Turkish Airlines logo, and Neftchi will share information about Turkish Airlines in all its digital channels by putting Turkish Airlines logo on all outdoor and printed materials such as billboards, tickets, invitations, and etc. This collaboration is an open-ended agreement during its validity that enables the two brands to add some other details in order to improve brand awareness of both sides. Turkish Airlines is firmly committed to the inspirational vision of sporting competition and trusts in its ability to unite people from different nations. And therefore its permanent support to different sports branches, that extends from football, basketball, rugby and golf at all levels, will be continued also in the future both on global and local scales. Established in 1933 with a fleet of five aircraft, Star Alliance member Turkish Airlines has a fleet of 324 (passenger and cargo) aircraft flying to 304 worldwide destinations as 255 international and 49 domestic, in 122 countries. More information about Turkish Airlines can be found on its official website www.turkishairlines.com or its social media accounts on Facebook, Twitter, YouTube, LinkedIn, and Instagram. Established in 1937, Neftchi PFK has played in USSR Championship till 1991. In 1966 Neftchi PFK became the bronze medalist of Soviet Higher League. Since 1992 Neftchi PFK participates in Azerbaijani Championship. Neftchi PFK is a 8-time Azerbaijani Champion (1992, 1995/1996, 1996/1997, 2003/2004, 2004/2005, 2010/2011, 2011/2012, 2012/2013), 6-time Azerbaijani Cup Winner (1994/1995, 1995/1996, 1998/1999, 2003/2004, 2012/2013, 2013/2014) and 2-time Azerbaijani Supercup Winner (1993, 1995). In 2012 Neftchi PFK became the first Azerbaijani club to reach a group stage of European club competition by reaching UEFA Europe League group stage.